Environmental Noise Control deployed acoustical visualization (beamforming) techniques to illustrate sound paths. 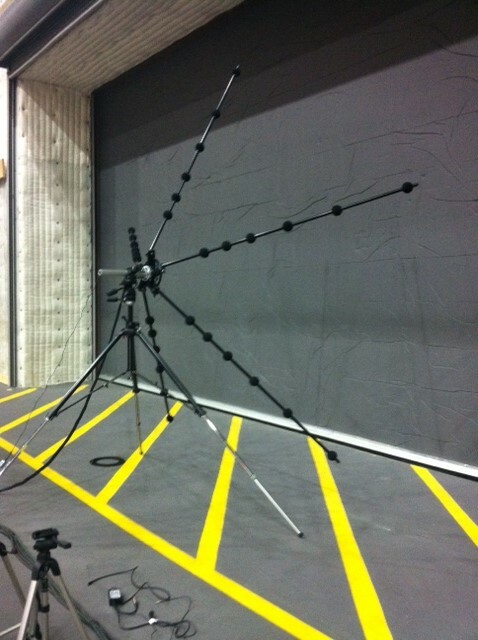 ENC’s acoustical engineering study identified unwanted noise impacting filming studios. This project utilized ENC’s acoustical visualization (beamforming) technology. Environmental Noise Control was contracted to perform a sound transmission evaluation of an elephant door used for film work at a sound stage at Raleigh Studios in Manhattan Beach, CA. 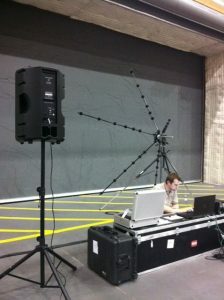 The studio installed the elephant door between two sound stages to block noise from one stage from transmitting to the other, however, there was still audible noise propagation. ENC measured sound levels within one stage while generating noise via two large speakers on the other. Acoustical visualization (beamforming) was utilized to illustrate the sound leak paths within the door. Raleigh Studios benefited from this study by being able to modify their door and lessen the noise transmitting between the studio spaces significantly. ENC’s acoustical visualization (beamforming) machine in front of the studio’s large elephant door. 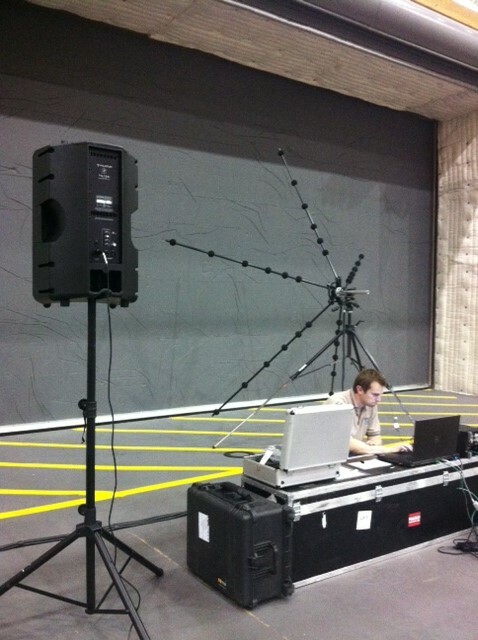 ENC’s engineering manager, Tom Corbishley, monitoring noise at Raleigh Studios in Manhattan Beach, CA.